It’s not often you can find quality leather shoes for an affordable price, but here we are. 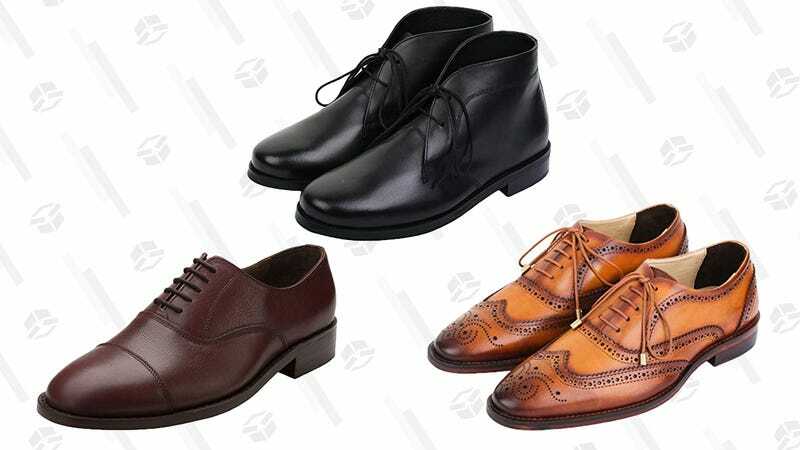 Amazon is discounting four styles, and a bunch of colors, of men’s leather shoes from Lethato Footwear. If you need a good pair of boots, or dress shoes that are affordable and look good, this Gold Box is for you.